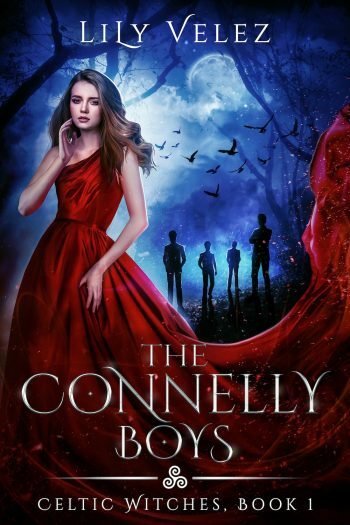 Author Lily Velez are unveiling the cover to THE CONNELLY BOYS, the first book in her young adult urban fantasy series, Celtic Witches, releasing September 13, 2018. See below for the cover, information on the book, a link to add it to your Goodreads TBR, and details on her giveaway. Lily Velez has been writing stories since she was six years old. Not much has changed since then. She still prefers the written word and her overactive imagination over the ‘real world’ (though to be fair, her stories no longer feature talking dinosaurs). A graduate of Rollins College and a Florida native, when she’s not reading or writing, she spends most of her days wrangling up her pit bulls Noah and Luna, planning exciting travel adventures, and nursing her addiction to cheese. All this when she isn’t participating in the extreme sport known as napping.